Burn Ban in Effect for Wilson County - Eagle Creek V.E.S. 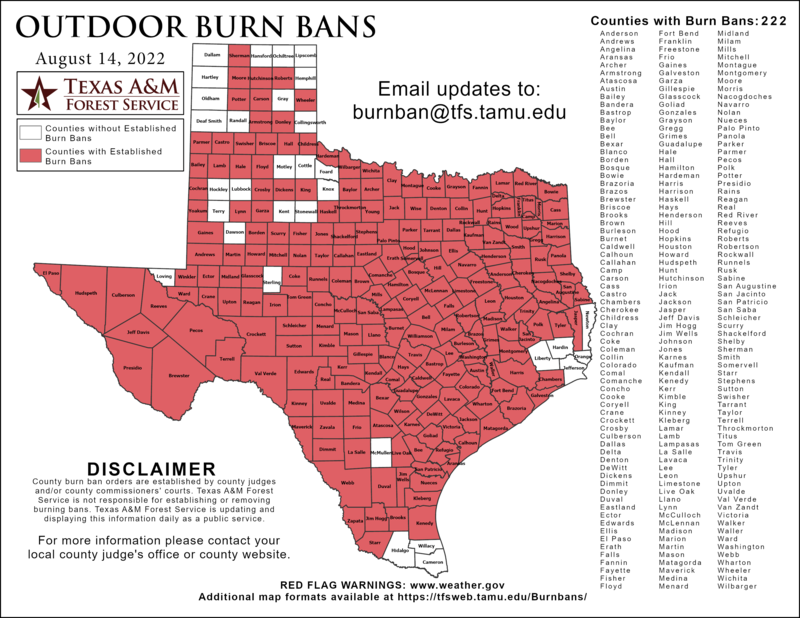 At the August 13th, 2012 Commissioners' Court Meeting, the Court discussed and approved a burn ban for Wilson County. More information can be found at the county website. A copy of the order prohibiting outdoor burning can be found here.